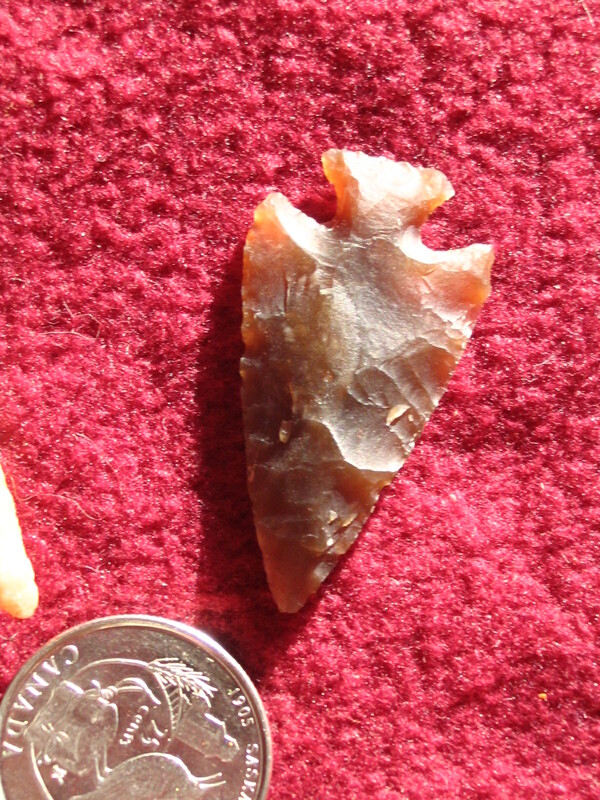 Figured I would start this one, kinda like the Hill style bow threads, to showcase knapping work. 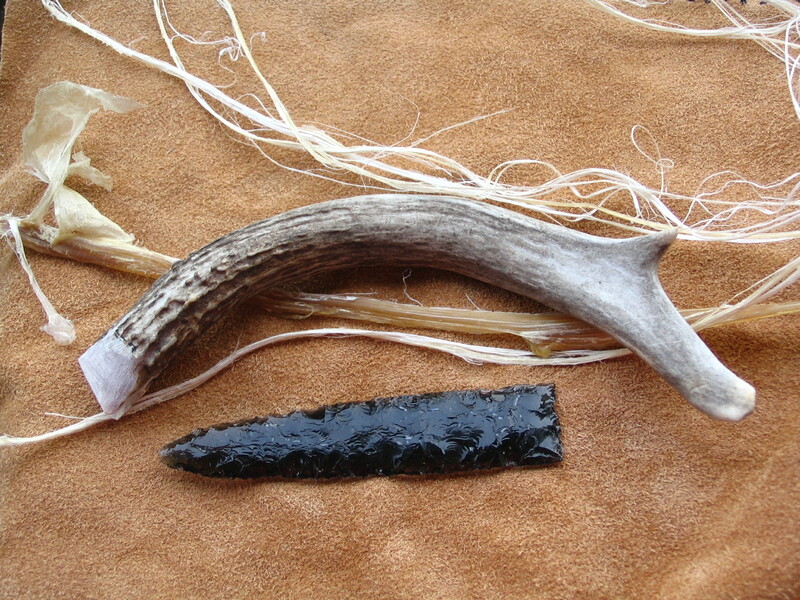 My first, from an obsidian preform. That will work, Very nice. Looks like youve got it figured out! Better than any that I've attempted. Up in Washington state for work and discovered the Puget Sound Knappers group. They had a cabin fever knap in yesterday, so I went. 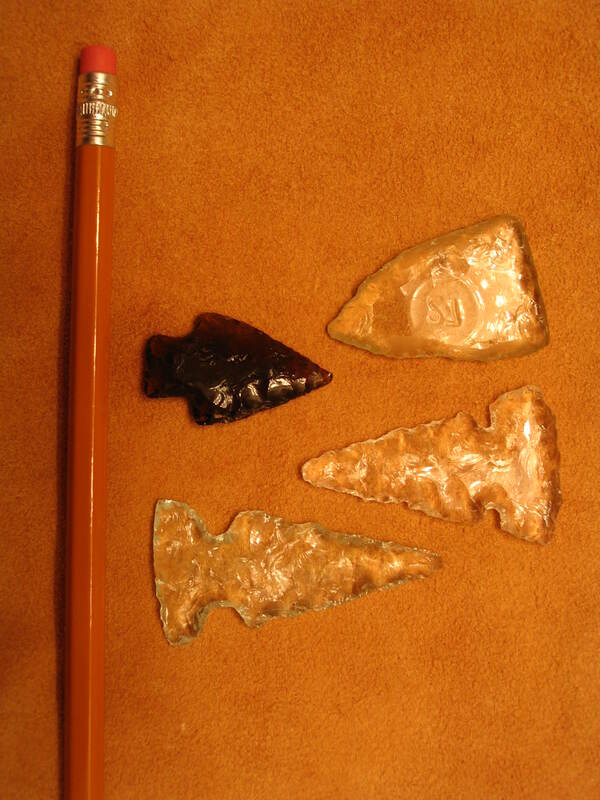 The nice grey dacite point on left was a gift from one of the founders, Dr. Joe Higgins. 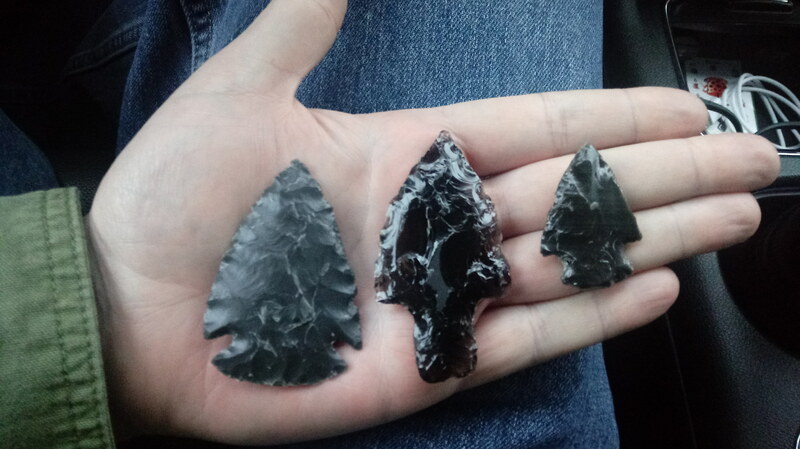 I flaked out the other two obsidian points. 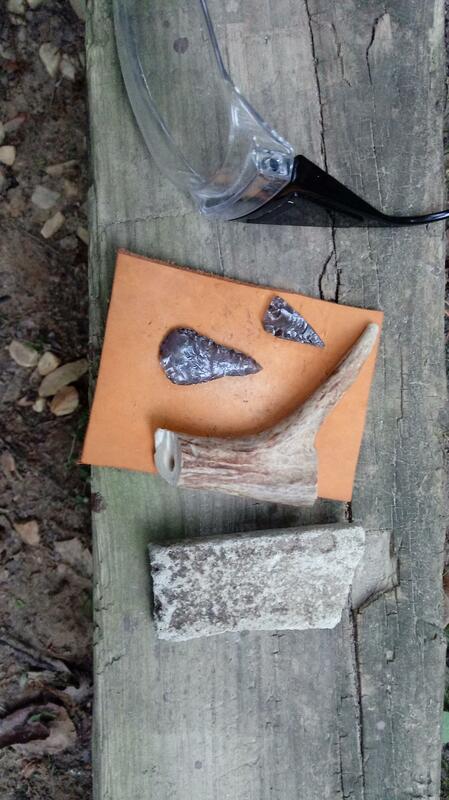 The big one was from a slab, the smaller one was a chip. Nice work Robert. 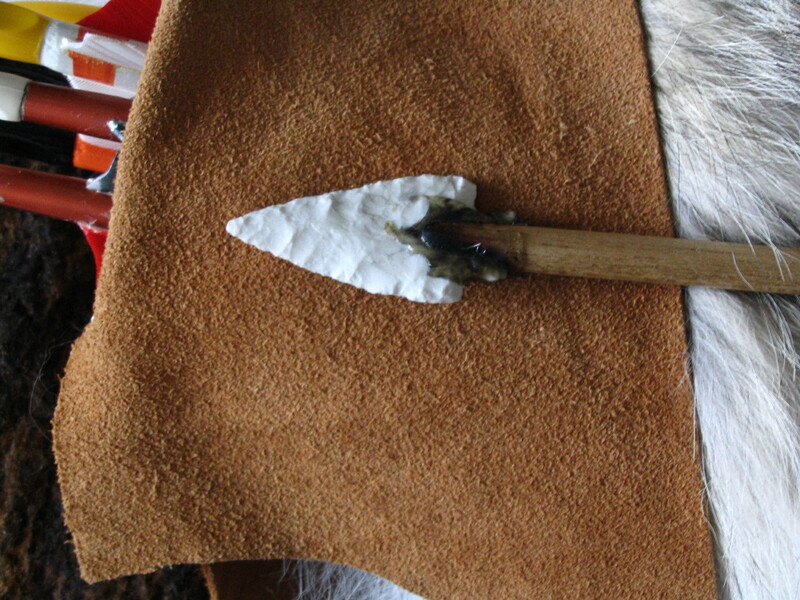 Knapping around other knappers is a great way(the best way) to learn knapping. Make the most of all that comes and the least of all that goes! 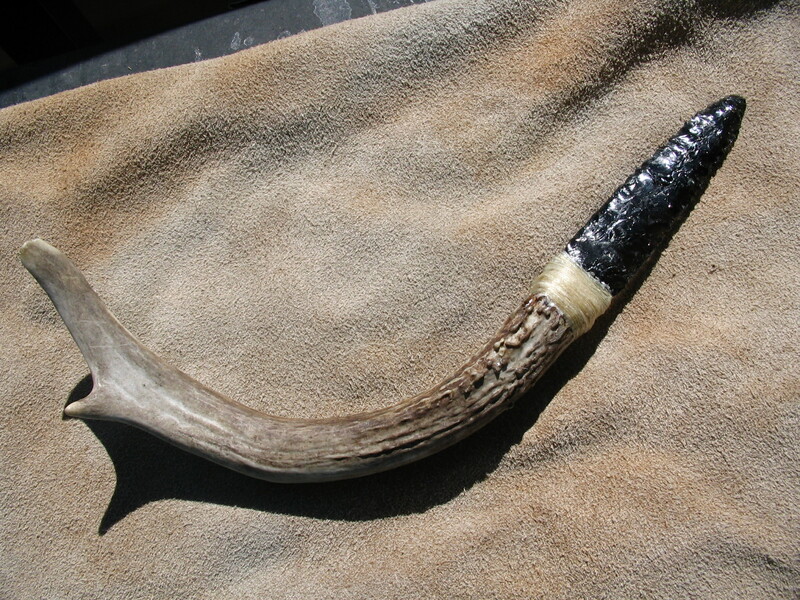 Keep your very first percussion point and first pressure flaked point. And in a year or two make a comparison. That's what I did and I was surprised at my progression. I have them in the center of my "so called" keeper case,lol. I am still a rock breaker but am coming along and you will to if you keep at it. I am older and a much slower learner. I see you are also a former Marine, semper fi. I'm new to tradgang overall and am not a knapper. However I do live in an area with lots of obsidian and have access to many large (too big to lift) pieces of obsidian as well as bowling ball sized pieces to soft ball sized pieces. All from Nor Cal. Are these of value to you knappers? Well, Please spread the word. If anyone wants to pay the shipping I'll drop as large a rock in a box as anyone would care to have. I'm freshly back to this site after a too long hiatus and am looking to repay the help and welcome I've received here. again, no charge for the rock, just pay the postage and we're good to go. Flat rate boxes from USPS are commonly used to ship rock. Ttt. Heading to Glass Buttes, Oregon, tomorrow. Just looking to get some cobbles, nothing huge, so hopefully I'll find some nice chunks just laying about.